One of the most walkable cities in Europe, it was a joy for Team Blue to explore Budapest! We went to the university for a documentary night of ‘True Cost’ – which is a very powerful documentary on the impact of the fashion industry. It talks about environmental impacts as well as ethical issues with poor working conditions and low wages in third world countries. The idea behind the documentary is to raise awareness on fast fashion and the growing issues arising with the topic. After the film, we all had a discussion on our opinions and ways we can tackle the issues associated with fast fashion. An enlightening discussion as words on minimalism, conscious buying, and ethical proactivity were spoken. I was lucky enough to steal the AEGEE-Budapest flag right after our group photo! In the end, I decided to nicely give their flag back (also realizing I had absolutely no room for it in my backpack)! 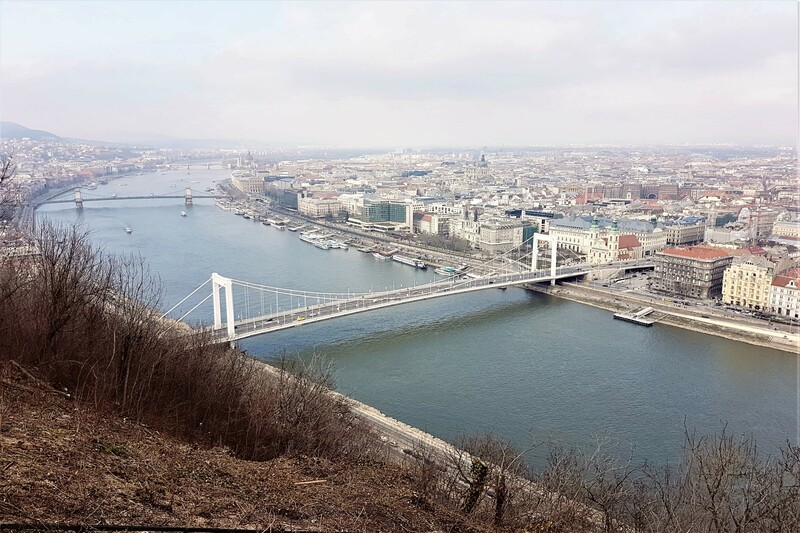 With the Easter break being on the same weekend we travelled to Budapest, it was difficult to secure schools to give workshops – but that didn’t stop us from taking in the culture and learning about the city! Keeping our eyes peeled for environmental initiatives within the city, we were happy to find tons of green city aspects. 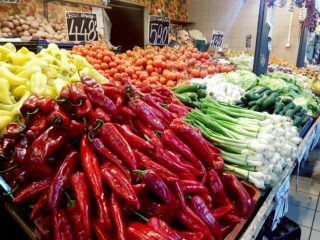 With a huge market, locals and tourists have the opportunity to buy local food rather than purchasing imported products big box stores – therefore creating a lower ecological footprint. 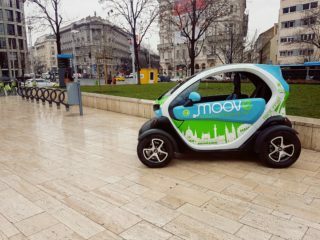 A great example of new, innovative concept is the electric car share called ‘Moove’ – this is a great way to lower individual car purchases as well as creating eco-friendly electric details. 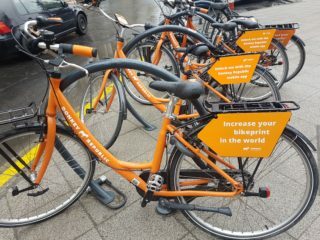 Along with the car share are countless bike share spots where individuals can rent and drop off a bicycle at different points throughout the city. We found the perfect local café on a quiet street to work on our laptops and try some tasty food at a great price! As we were working, we overheard a group of people talking about deforestation and the state of our planet. Perhaps in the right place at the right time, we approached and asked if they would be interested in an interview. Being outspoken, the two men were glad to be interviewed. Opening the microphone on our app, we began we a series of questions which ultimately led to a lengthy discussion on a variety of topics associated with climate change. I believe when speaking of climate change, there is no short answer. Coming from all different backgrounds, the men spoke in a solemn tone with a realistic perspective. Their thoughts on climate change were to believe we cannot keep blaming each other and instead need to each take responsibility for our own actions. 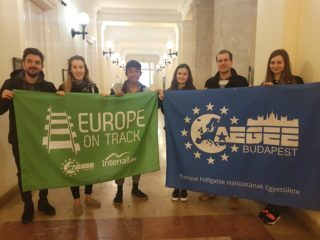 Thank you for hosting us AEGEE-Budapest, see you somewhere in Europe!